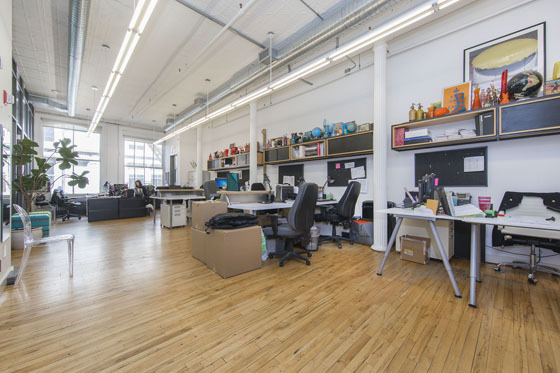 Ideal design studio, office or showroom in Soho’s most coveted office building. Built with 2 glass offices, conference room, and open area. Wet pantry. Oversized windows with western exposure. High ceilings. Hardwood floors. C/A/C.